The ruling coalition made up of the Social-Democratic Party and the Alliance of Liberals and Democrats from Romania is preparing the structure of the new cabinet after Social-Democrat MEP Viorica Dancila was designated Prime Minister earlier this week, the first woman to hold this position in Romania. If voted in Parliament, this cabinet will be the third proposed by the ruling coalition within a single year. The change follows the resignation of Mihai Tudose, who stepped down amidst tensions with Social-Democratic leader, Liviu Dragnea, and losing his own party's political support, at the end of a six-month mandate. In the wake of consultations with parliamentary parties, the country's President, Klaus Iohannis, accepted the ruling coalition's nomination, entrusting MEP Viorica Dancila with the task of forming a new cabinet, much to the discontent of the opposition and part of civil society. The president was harshly criticized on social media for nominating a Prime Minister who had done little to recommend her for the job. The President motivated his choice, arguing that both the Constitution and coalition's majority in Parliament dictated to accept the nomination. On the other hand, Klaus Iohannis reminded the Social Democrats they needed to start honoring their promises. 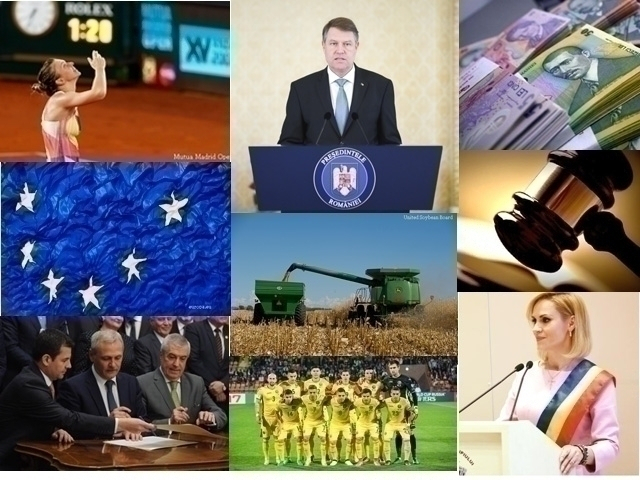 Klaus Iohannis: "Romanians have high expectations and so do I. The Social-Democrats have promised a great many things in the election campaign, salaries, pensions, new schools, new textbooks, hospitals, infrastructure, and what they have achieved so far is too little. It's time the Social-Democrats proved they are willing to keep their promises". Visibly pleased, the Social Democrats said the president chose stability. The National Liberal Party in opposition is calling for early elections, arguing that the most recent crisis that shook the Social-Democratic Party proves their inability to govern. This week the Prime Minister of Japan, Shinzo Abe, paid a historic visit to Bucharest, the first of a Japanese official since diplomatic ties between the two countries were first established, 100 years ago. Romania and Japan decided to the channel their efforts in order to upgrade their bilateral relation into a Strategic Partnership, President Klaus Iohannis announced at the end of Tuesday's talks with the Japanese Prime Minister. Relations between the two countries have reached the next level, which boost cooperation in all fields, the President went on to say. Klaus Iohannis: "We have agreed that we share the same values and strategic objectives, we have similar assessments in terms of security in this highly volatile context, and we also have common economic interests. I have urged Japanese businesspeople to invest more in Romania and have encouraged two-way trade. I am glad Prime Minister Abe came to Romania accompanied by a significant delegation of businesspeople. We've had a fruitful exchange of opinions on our cooperation in the field of security and we have discussed the security of our regions, with a focus on the latest developments in the Black Sea region and North Korea." Romania has a strategic geographic position and is a crucial partner for Japan, Prime Minister Shinzo Abe said, underlining that the two countries share common values and principles such as freedom, democracy, human rights and the rule of law. The Japanese official also underlined the importance of cooperation in the economic and security fields. Japanese companies are interested in Romania, Prime Minister Shinzo Abe said, adding that visas for Romanians interested in traveling to Japan would be lifted. The Japanese official canceled his meeting with Prime Minister Mihai Tudose after the latter stepped down. "With the advent of globalization, losing our culture means losing ourselves as a nation, and eventually we will disappear from the map of history altogether. This is why I proposed this day should coincide with Eminescu's birthday, as Romanians regard him as their iconic poet, a symbol, a myth of their existence. Eminescu is hugely indebted to German culture, and in turn Romanian culture was under the influence of the German and French cultures". Performances, symposiums and book launches were held to mark National Culture Day, many of which were organized by the Romanian Cultural Institute.